Seven Park Place By William Drabble is an intimate and stylish restaurant, created by Executive Chef William Drabble. 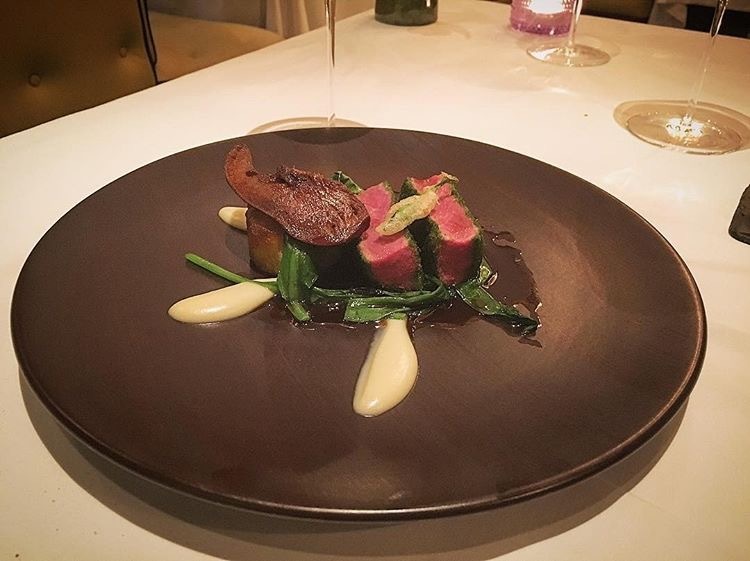 William, known as ‘Billy’, has created his own inimitable style menu, influenced by classic French cuisine but made using the very best British produce. 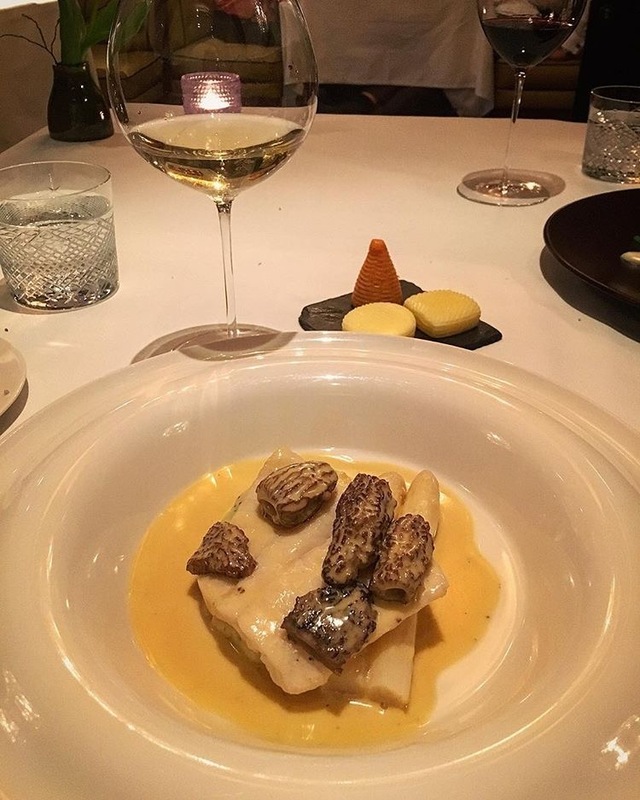 One of the smallest Michelin-starred restaurants in Europe, all staff ensure a personalised and professional experience with extensive knowledge and recommendations. 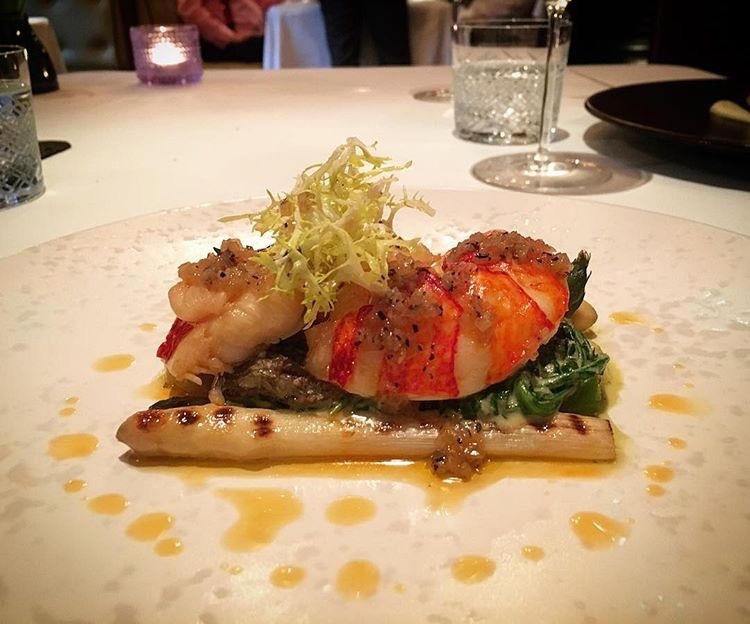 Billy, who prides himself on his excellent supplier relationships, particularly loves to cook with the freshest lobster and Lune Valley lamb, which can both be found on his menu all year round, with varying seasonal accompaniments. 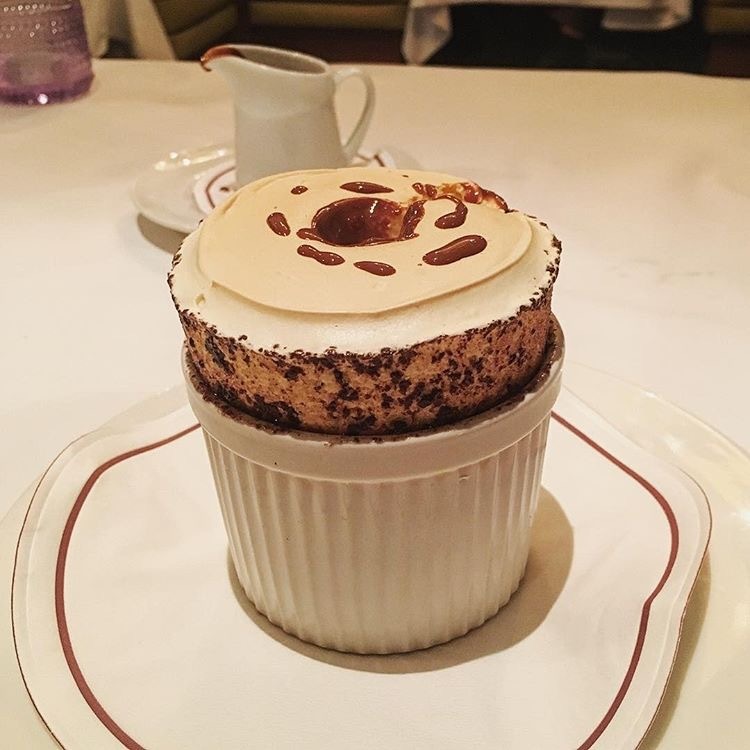 Set in a bijou dining room with just 23 covers, Seven Park Place is an intimate and chic backdrop for impressive, contemporary French cuisine. 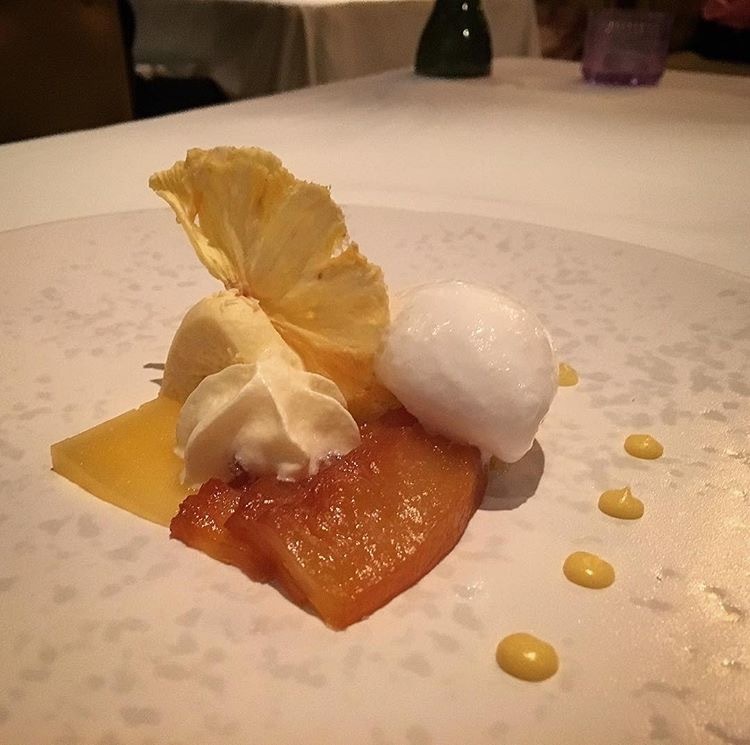 Awarded one Michelin star only one year after opening and four AA Rosettes, Drabble’s skill and creativity combined with the very best seasonal British ingredients provide guests with a truly memorable dining experience. 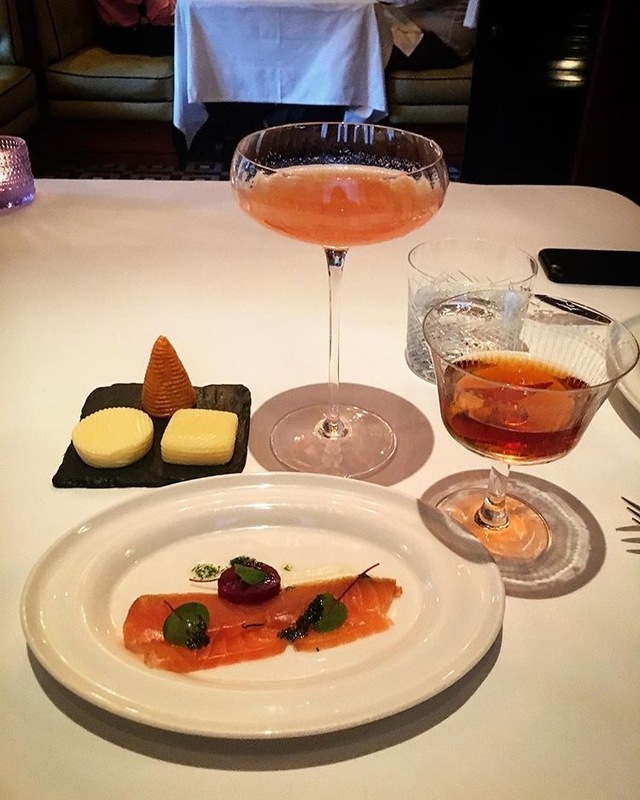 We started our evening with a couple of nice cocktails and beetroot cured salmon. First starter: Warm Salad of Poached Native Lobster Tail with Spring Vegetables. 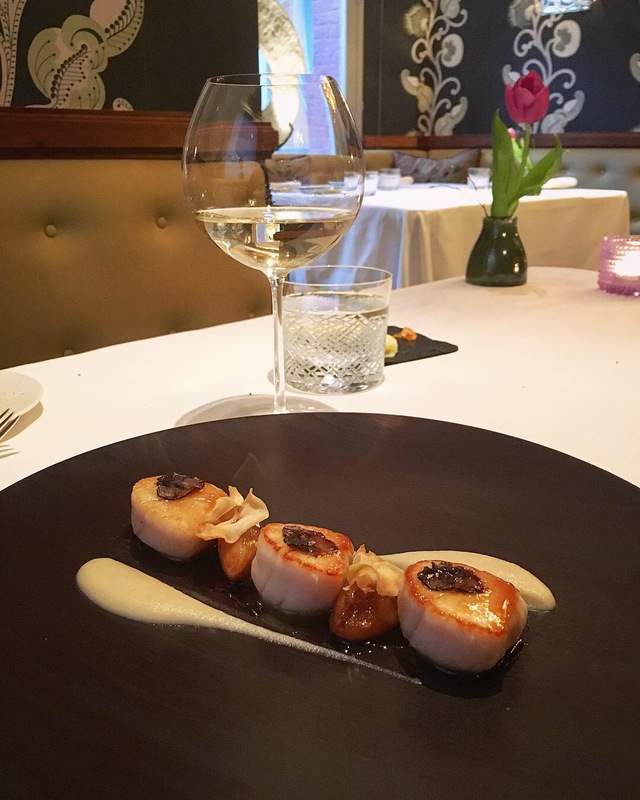 Second starter: Seared Hand-Dived Scallops, Jerusalem Artichokes, Madeira, Périgord Truffle. And to finish the evening, we had an amazing selection of sweets.